Two recent issues of Working Nurse (April 6-May 4 and June 8-July 13th) contained informative articles about H.R. 379, The National Nurse Act of 2015. The first article, National Nurse for Public Health, includes a synopsis of the duties that will be performed by the Chief Nurse Officer of the USPHS who will be designated as the National Nurse for Public Health. 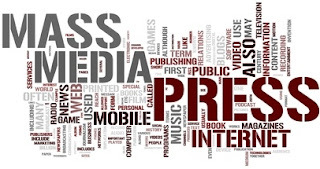 The latter describes the progress for the bill, including introduction of the Senate companion bill (S. 1205) by Senator Jeff Merkley (OR-D) and Senator Shelley Moore Capito (WV-R) in May. Thank you to Dean Janie Heath PhD, APRN-BC, FAAN for sending a letter to the editor of the Lexington Herald-Leader (Kentucky) in support of the National Nurse Act. Dr. Heath's piece, Nurses in forefront of health care reform, emphasizes the role that nurse leaders are taking in society to ensure that we all live longer, stronger, and healthier lives. She praises Senators Merkley and Capito for taking initiative to introduced bipartisan legislation for a National Nurse for Public Health. Dr. Heath states, "We are the largest health profession, over 3.2 million registered nurses strong, and we stand positioned to provide a uniting national voice to transform the lives of our patients, families, communities and systems. Now more than ever, we have a responsibility to promote prevention, help improve outcomes and guide local, state and national initiatives to address our most pressing and challenging health problems." Last month several members of the House of Representatives added their support for H.R. 379, The National Nurse Act of 2015. 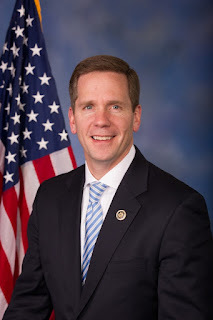 Representative Bob Dold (IL-10-R) was one of the many members of the House to sign on in June to the National Nurse Act of 2015. Rep. Dold, who was re-elected to his second term in the House of Representatives, currently serves on the powerful Ways and Means Committee. He is passionate about advancing bipartisan solutions saying we must draw strength by partnering together and identifying areas of common ground and potential. This certainly holds true for H.R. 379, legislation that has strong bipartisan support from both sides of the aisle. Rep. Dold's constituents are thrilled and grateful for his decision to co- sponsor this bill. Supporters of the National Nurse Act also learned that Representative Diana DeGette (CO-1-D) became a co sponsor to H.R. 379 on June 8th. Rep. DeGette currently serves as the Chief Deputy Whip. She is also a member of the powerful Energy and Commerce Committee and is considered to be one of the leading voices in the health care debate in this country. Rep. DeGette is committed to expanding access to health care and improving public health. She has led efforts to expand the State Children's Health Insurance Program (SCHIP), which provides health insurance to low-income children up to age 18. Supporters of the National Nurse Act of 2015 are grateful to Rep. DeGette for her co sponsorship. 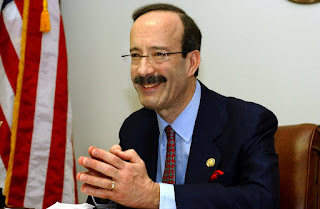 Thank you to Representative Eliot Engel (NY-16-D) who became the 25th co sponsor. Rep. Engel is the second ranking Democratic member of the Health Subcommittee where H.R. 379 currently resides. He is a life-long resident of the Bronx and has been a leader in global health. His bill, "Stop Tuberculosis Now Act" increased U.S. support for international TB control activities and promotes research to develop new drugs, diagnostics and vaccines. The National Nursing Network Organization [http://nationalnurse.org] (NNNO) and supporters are grateful for his support for the National Nurse Act of 2015. Thank you to Representative Alcee Hastings (FL-20-D) for standing with the supporters of the National Nurse Act of 2015. 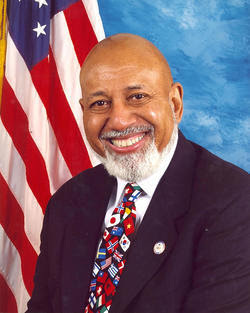 Known to many as "Judge," Alcee Hastings has distinguished himself as an attorney, civil rights activist, judge, and now Member of Congress. Throughout his lifetime, Congressman Hastings has championed the rights of minorities, women, the elderly, children, and immigrants. Rep. Hastings continues to advocate for smart, comprehensive, and sustainable health care reform. Representative Scott Rigell (VA-2-R) announced his support for The National Nurse Act of 2015 on June 15th. He served six years in the United States Marine Corps Reserve, rising to the rank of Sergeant before receiving an honorable discharge. 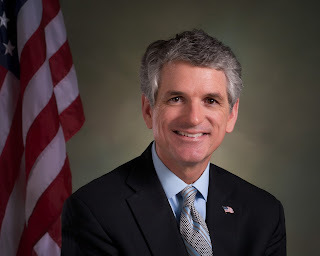 Rep. Rigell was elected to represent Virginia's Second Congressional District in the United States House of Representatives in November 2010 and is serving in his third term. He currently serves on the influential House Committee on Appropriations. Thank you Rep. Rigell for co-sponsoring H.R. 379. Thank you to Representative Peter Roskam (IL-6-R) for signing on to H.R. 379 the last week in June. 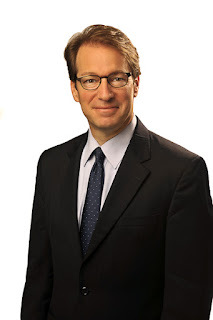 Rep. Roskam is a native of Chicago and is serving his fifth term in the House of Representatives. He serves on the House Ways and Means Committee, and is a member of the Health Subcommittee. Rep. Roskam also chairs the Oversight Subcommittee—a key watchdog post with jurisdiction into the spending and operations of tax-writing and healthcare programs within the federal government. 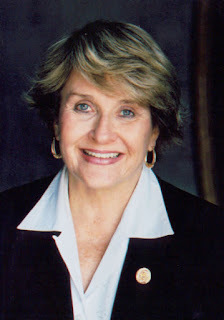 Representative Louise Slaughter (NY-25-D) is uniquely qualified as a supporter for H.R. 379 having earned a Masters of Science Degree in Public Health from the University of Kentucky. Rep. Slaughter is considered to be one of the most powerful women in Congress and is a leader and advocate for the citizens who live in Rochester, the city that she represents. Early in her congressional career, Rep. Slaughter successfully fought for the passage of legislation that guarantees women and minorities are included in all federal health trials, establishing the Office of Research on Women's Health (ORWH) at the National Institutes of Health (NIH). Thank you Rep. Slaughter for signing on to H.R. 379. 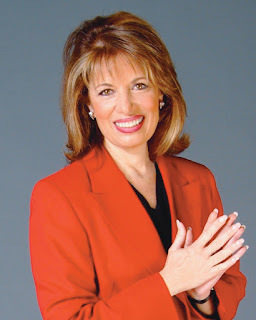 Thank you to Representative Jackie Speier (CA-14-D) for co sponsoring the National Nurse Act of 2015. Rep. Speier has been a leader for many issues that impact our nation's health and well-being; she is the Vice Chair of the Gun Prevention Task Force in the House of Representatives. She has introduced the "Stop Selling and Marketing to Our Kids E-Cigarettes (SMOKE) Act" and the "Detergent Poisoning and Child Safety (PACS) Act" to protect children from poisoning. Rep. Speier is a driving force behind the fight against human trafficking. Another Congressional member to sign on to H.R. 379 in June was Representative Glenn "GT" Thompson (PA-5-R). 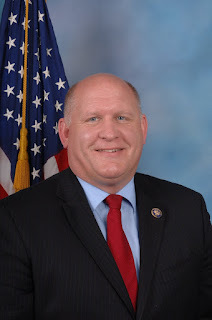 According to Rep. Thompson's website, "Prior to being elected to Pennsylvania's geographically largest congressional district, Congressman Thompson spent 28 years as a therapist, rehabilitation services manager and a licensed Nursing Home Administrator. Through his professional experiences, GT has touched the lives of thousands of individuals facing life-altering conditions. As a result, he has learned firsthand the importance of access to quality healthcare and has become a strong advocate for increased access, affordability, quality of care, and patient choice." Thank you Rep. Thompson for recognizing the importance of health promotion and prevention and agreeing to co sponsor the National Nurse Act. Thank you to Representative Ed Whitfield (KY-1-R), the third ranking member of the Health Subcommittee and a leader on many healthcare issues for lending his support to the National Nurse Act as a co sponsor. Rep. Whitfield is also a member of the House Nursing Caucus for the 114th Congress. He believes that health behavior should be encouraged and preventive care promoted. Rep. Whitfield is also aware that 74% of all costs are confined to four chronic conditions-cardiovascular disease, cancer, diabetes, and obesity. A large majority of these conditions are preventable. Supporters of the National Nurse Act are thrilled to have Rep. Whitfield's support.